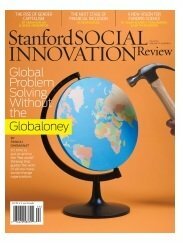 In the Nov 2014 issue of the Stanford Social Innovation Review, Shayna Samuels and Glenn Turner of Ripple Strategies summarize the steps to creating successful nonprofit+corporate alliances. “In these symbiotic, public-facing partnerships, the nonprofit and business essentially “hold hands”—they declare a shared mission and execute a marketing campaign around it. The end goal is increased awareness for both entities, along with increased sales for the business and increased funds for the nonprofit. Done right, both groups can reap huge, mutual rewards.” Great reading for those looking to “marry-up” in their marketing. Don’t miss the 7 big takeaways for successful partnerships.